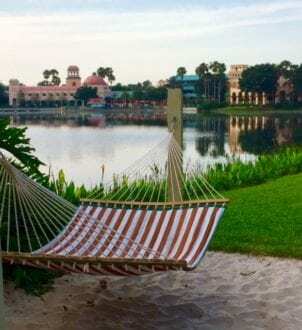 Home » Blog » Top Destinations: Disney » What Should a Solo Grandmother Consider when Booking at Disney? 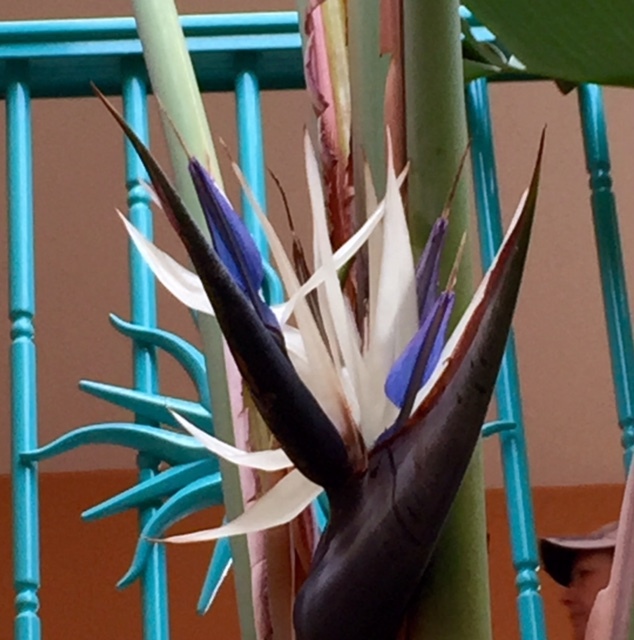 Flowers fill every walk, each view at Coronado Springs Resort. 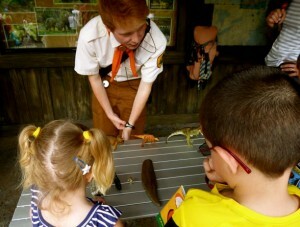 What Should a Solo Grandmother Consider when Booking at Disney? Since Walt Disney World appeals to all ages, what should grandmothers know when they launch a visit on their own–or with other grandmoms? Girlfriend Getaways without the grandkids suggest different planning. 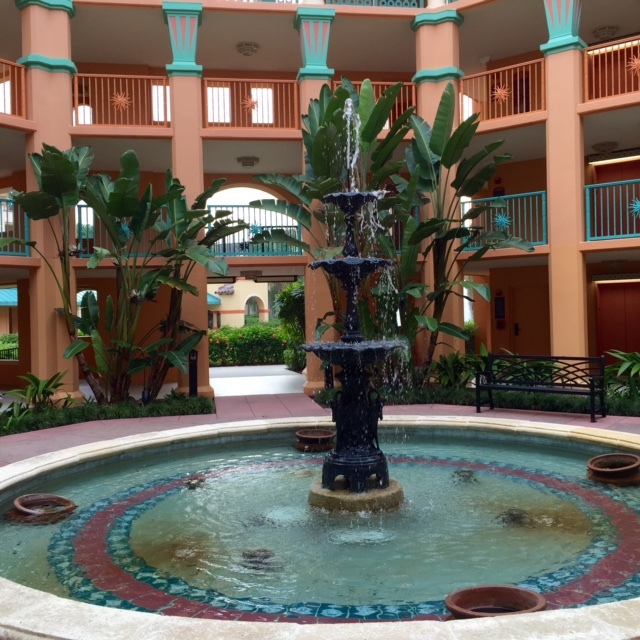 Walking around Coronado Springs Resort reveals lovely settings. Photo by Christine Tibbetts, Blended Family TravelingMom. Grandmothers without kids do choose Disney vacations. On purpose. 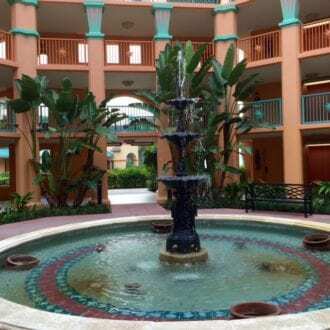 I stayed at the Coronado Springs Resort at Walt Disney World in Orlando for three nights with two other grandmothers – and no kids. Casitas. Cabanas. Ranchos. Those are the three housing choices and we didn’t have much of an opinion at reservation time. You should. Our casita was acceptable with a view of one of the big pools. That translates to the voices of happy children back from the Disney parks until 11:00 p.m. Not always cheerful sounds to everyone. 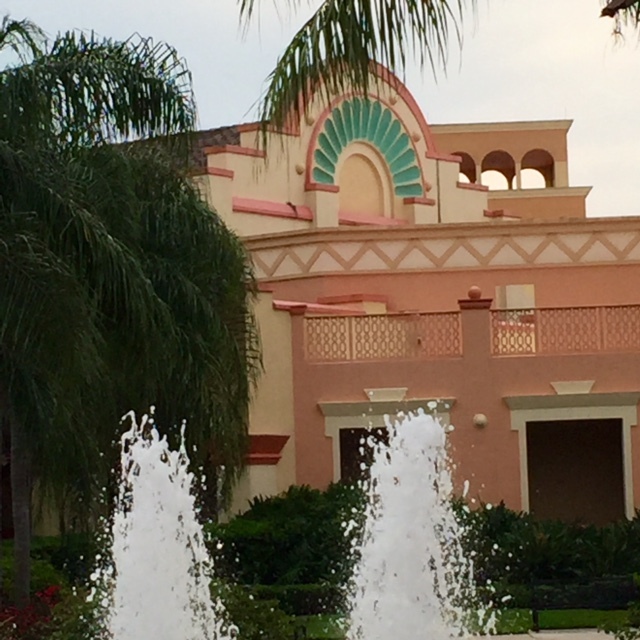 The three-quarter-mile walk around the lake named Lago Dorado – Mexican themes throughout this resort — showed me we should have booked a cabana instead. Artistic views can please grandmothers without the kids. Photo by Christine Tibbetts, Blended Family TravelingMom. Cabanas overlook the lake, and miniature sandy beaches with hammock are just steps from the door. Calmer, dreamier. Ranchos are furthest from the restaurants, registration lobby and convention center, but if you and your grandmother friends enjoy strolling past glorious gardens, the distance is more bonus than concern. Coronado Springs Resort is labeled a Disney moderate resort, but I’d be a whiner if I hadn’t felt pampered by the colors, the landscape and my meals. Could have booked a massage just steps from my door. Two sit-down restaurants and one get-a-tray and order to take to the table yourself. Memorable, let’s linger breakfast for all three grandmothers one morning; sandwiches of abundance for one lunch. I ate my entire veggies-in-pita but my friends saved half of theirs (a turkey and a tuna) for later, which they stored in the room fridge and tossed at departure. Plan to share big portions before ordering. Each of us finished that breakfast, one a French toast and two huevos rancheros. If grandmother you and your friends have been to Chichen Itza, especially on the Equinox, skip the pool on the far side of the lake. The interpretation of the temple and the kundalini snake is rather lame. Any chairs in the room? My casita had one functional desk chair, nothing for reading or chatting with roommates. How many coffee cups? My room booked for three grandmothers had two cups. Is one little amenity bottle of lotion enough for people in the sun? Who can bring more in airplane carry-on? Are over-the-bed reading lights individual or the big barlight in my casita? Bed sharing grandmothers have different habits. Minds can swirl about the options for lodging at Walt Disney World. My neighbor grilled me about Coronado Springs Resort when I returned, seeking the right reservation for a multi-generation trip this summer. Look here for some other grandmotherly insight. Lodging to walk to Epcot.